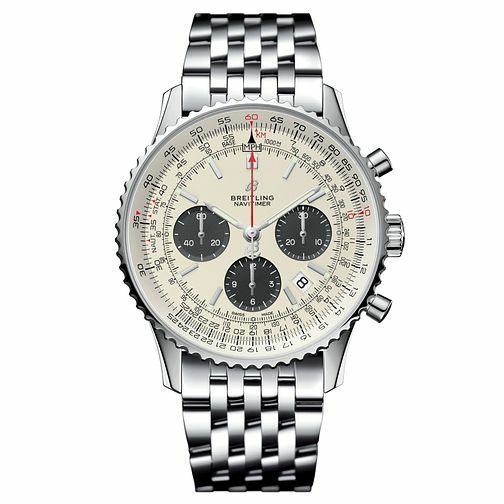 A timeless classic with a contemporary twist, the Navitimer B01 Chronograph watch is created with a stainless steel case, showcasing a pure white dial with white and silver tone detailings. A date window is positioned between the 4 and 5-o-clock markings for practicality. A red seconds hand graces this classic dial, all packaged together upon a strong stainless steel bracelet, a timeless timepiece. This watch is water resistant up to 30 metres.